Reference values and physiological measurements of intracranial pressure (ICP) are primarily reported in the supine position, while reports of ICP in the vertical position are surprisingly rare considering that humans maintain the vertical position for the majority of the day. In order to distinguish normal human physiology from disease entities such as idiopathic intracranial hypertension and normal pressure hydrocephalus, we investigated ICP in different body postures in both normal and ill subjects. 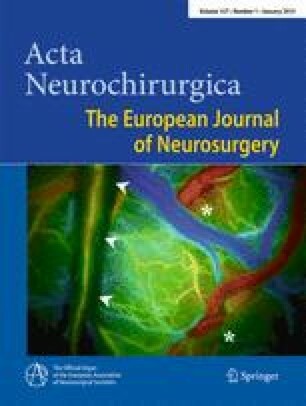 Thirty-one patients were included: four normal patients following complete removal of a solitary clearly demarcated small brain tumour and fitted with a telemetric ICP monitoring device for long-term ICP monitoring; 27 patients requiring invasive ICP monitoring as a part of their diagnostic work-up or monitoring of shunt treatment effect. ICP was recorded in the following body positions: upright standing, sitting in a chair, supine and right lateral lumbar puncture position. Linear regression of median ICP based on patient posture, group, and purpose of monitoring presented a significant model (p < 0.001), but could not distinguish between patient groups (p = 0.88). Regression of differences in median ICP between body postures and supine ICP as the baseline, presented a highly significant model (p < 0.001) and adjusted R 2 = 0.86. Both body posture (p < 0.001) and patient group (p < 0.001) were highly significant factors. Differences in ICP between body postures enabled us to distinguish the normal group from patient groups. Normal patients appear able to more tightly regulate ICP when switching body postures. The authors gratefully acknowledge support in the form of research grants from The Hetland Olsen Fund, The Aase og Ejnar Danielsen Fund, The Augustinus Fund and Dagmar Marshall’s Fund. All authors certify that they have no affiliations with or involvement in any organisation or entity with any financial or non-financial interest in the subject matter or materials discussed in this manuscript.